Well done to all our Cadets who attended Wing Field Camp this year from the 23 – 25 March. We had a very successful year this year coming 12th in the overall final placings out of the 29 Squadrons who took part in the weekends’ excercises and competitions. Below are our placings (out of 29) in the different events that took place. 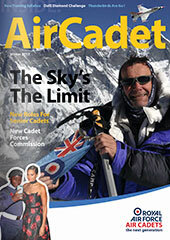 Categories: Formal Events, Manningtree Air Cadets, Sports | Permalink.